With the holidays quickly approaching, a new book is always a great gift idea for your favorite Mustang fan. 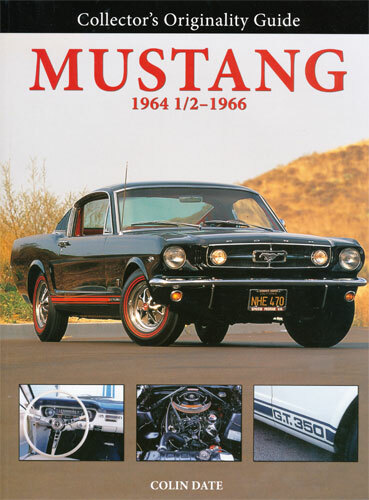 As the title suggests, this book only covers the popular 1964 1/2-66 model Mustangs. It starts with an introduction showing the basic differences between the years. 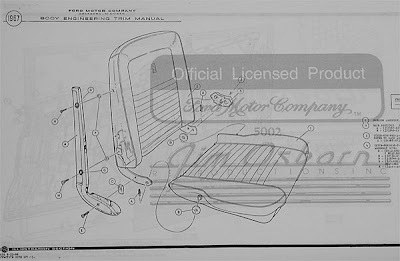 Date plate information, dates on certain components, options, and many other details are covered. There are tons of nice pictures to go along with the great explanations. 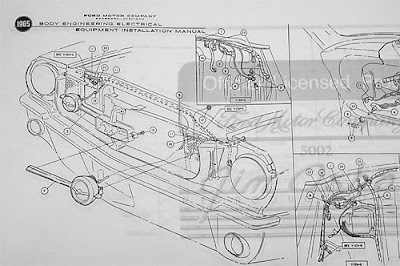 Under each model year, there are sections covering Body and Exterior Trim, Date Plates, Interior, Chassis, Engine Options, Exhaust, Transmissions, Clutches, Rear Axles, Suspension, Heating and Cooling, Electrical, Wheels and Tires, and more. And again, I cannot say enough about the great color photography that goes along with each section. 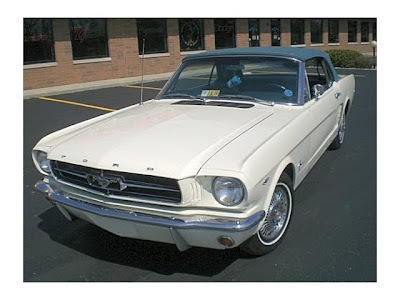 1965 and 1966 Mustang GT350's (Shelbys) are also covered in the same manner in the last chapter. 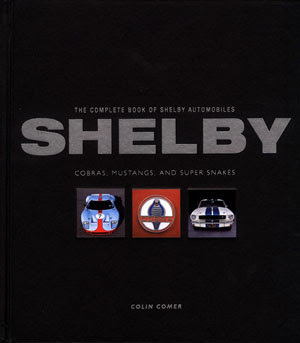 I would say this is a "must have" book for any 64 1/2-66 Mustang owner and/or enthusiast. 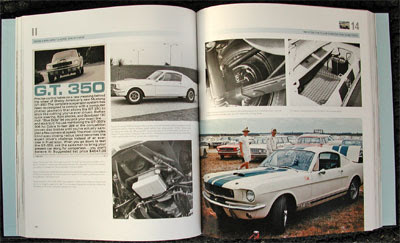 Collectors Originality Guide: Mustang 1964 1/2-1966 is the definitive guide to one of the greatest cars in American history: The Ford Mustang. 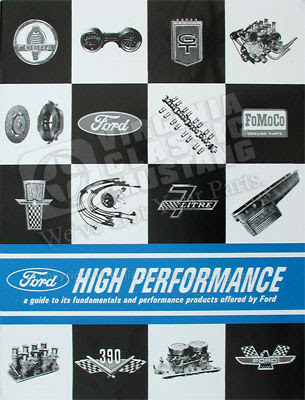 Launched to tremendous acclaim in the mid-1960s, this sporty car was an instant hit with buyers selling tens of thousands of units in its first months of production and launching an iconic Ford nameplate that continues on to this day. Naturally, the Mustang car became an instant classic, and has been a favorite among collectors and restorers for decades.In this paperback reissue of the highly popular hardcover book, author and photographer Colin Date walks through all of the details of the first-generation Mustang's 2 1/2-year production run, providing collectors with everything they need to know to identify, classify, and restore these iconic cars. 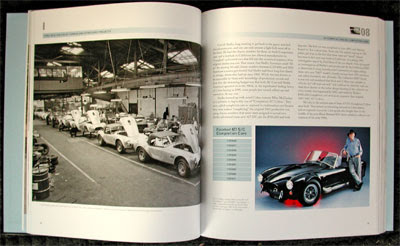 Filled with gorgeous color photography, this book has been and continues to be a must-have for all Ford Mustang fans. 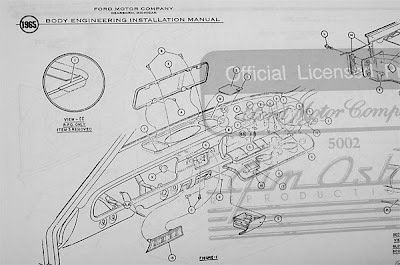 We have gotten quite a few calls for these parts over the years. 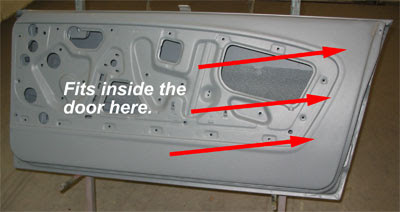 These are the complete 65-66 Mustang front door (at rear of door) window channel guides. They are the metal channels that are covered with a felt type of material for the glass to ride in. 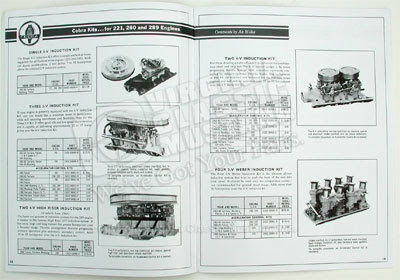 They are in stock - Part Numbers IN1091L and IN1091R. 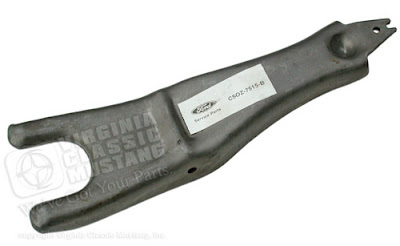 If the metal channel in your Mustang is fine, you may only need the material to cover it with. It is often worn out and needs replacement. 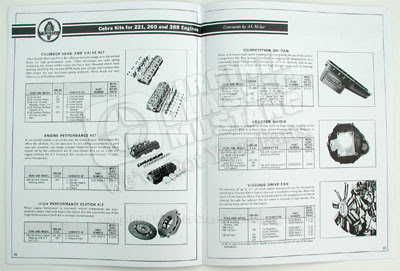 The material only is still available as Part Number WS88. This material has a really nice adhesive backing and is fairly easy to replace. 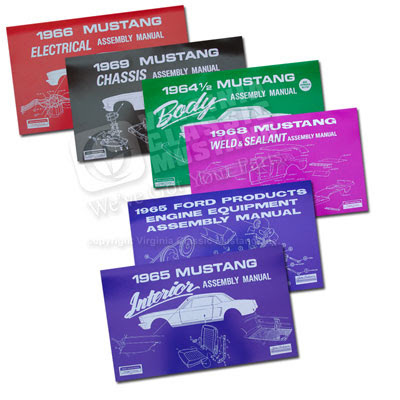 The Holiday Season is fast approaching and we just wanted to remind everyone that we do offer gift certificates for your favorite Classic Mustang Fan. They make a quick and easy gift and can be purchased in any amount that you would like! You can find them at this link GIFT CERTIFICATES or give us a call at 540-896-2695. OK - I hesitated before posting this one, but the car is historically significant, and the auction listing is, well, entertaining. I know it will get tons of internet "air play." I decided that I might as well post it here to in case you miss it somewhere else. 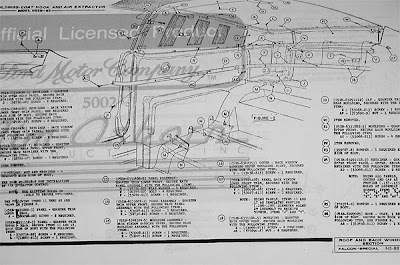 If you want to overlook the ridiculous "Buy it Now" price, you may at least enjoy the interesting story and images of the paperwork about this early Mustang. 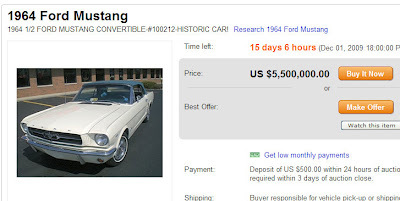 I guess a $5.5 million price on a Mustang is a great way to get some publicity. Oh, you can click on the pictures or here to go to the EBay Auction and check out the rest of the story. As we have mentioned before, we absolutely love to see and hear about our customers' Mustangs. Thanks to Al Bradley for taking the time to send us these images of this 1966 Mustang Convertible along with a little story! 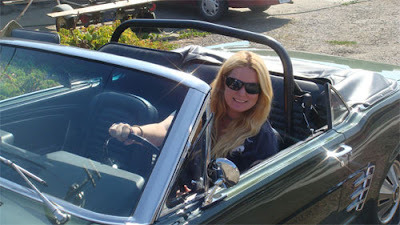 This Mustang belongs to Lea Bradley in Sacramento, California. 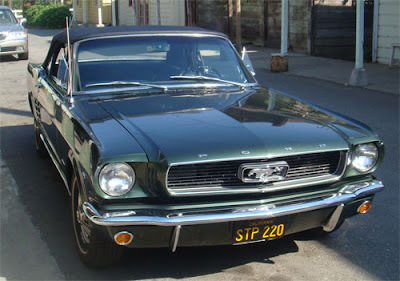 Her great uncle, Dave purchased it new in 1966 from Beverly Hills Ford. The car has always been in our family. The restoration began twelve years ago and was completed recently. Everything was there when we began, and it was all original. The floor pans were rusty and had to be replaced. All the sheet metal and glass are original. We painted it the original color (Ivy Green) and kept everything original with one modification -- Lea's mother insisted on the roll bar, since it's a convertible. The car is a real head turner, and everywhere we take it people ask if they can buy it. The car was built in San Jose. 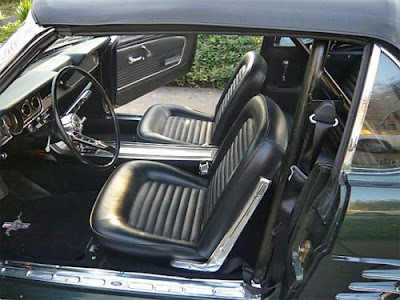 It has a standard 289 V8 engine with an automatic transmission, power steering, and power top. The license plates are original too. 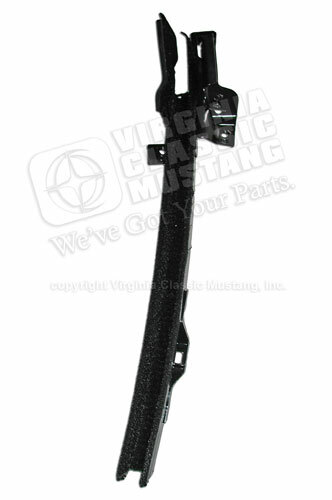 Most of the replacement parts were purchased from Virginia Classic Mustang Inc.
We always love to feature customer cars in the Blog. If you have a Mustang that you would like to see featured here, just click here to let us know. They do not have to even be finished! Send us your finished or "in progress" Mustangs. 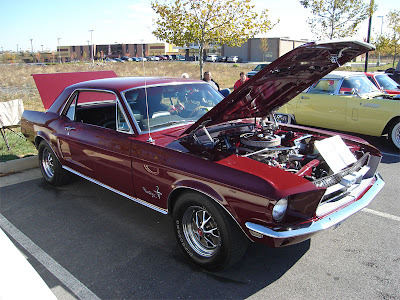 The latest feature Mustang is a nice '68 Mustang Coupe sent in by Darren and Michelle Brill. This is an update to our August 2008 feature about this Mustang. We will let Darren tell you a little bit about it. 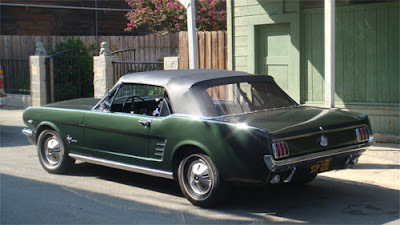 Just wanted to send some updated information and photos on our 1968 Mustang coupe. This car has won several trophies since we have been showing it. My wife and I really have enjoyed showing our car. This car was restored by Miller Fabrications, of Wardensville WV. The winter of 2008 we have added a Edlebrock Performer 4v intake and a Holley 4v carb., powder coated hood hinges and powder coated hood latch. 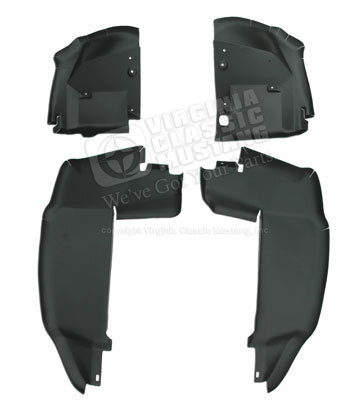 Most parts were bought at Virginia Classic Mustang for this project. You people are great at what you do, keep up the good work. Plans for our car in the future are new carpet, and headers and new dual exhaust. 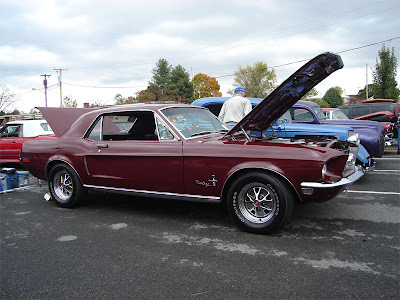 We want to again thank Darren and Michelle for sending the pictures and information about their Mustang!